Taking that first step and setting up your own business is exciting and challenging at the same time. In the UAE, would-be entrepreneurs often face a number of obstacles before they decide to take the leap. They may worry about the financial investment, the time they will have to dedicate to the business, and they’d also doubt their own success. But once those have been dealt with, entrepreneurs reach the next stage where they are full of energy and want to get started right away, which, in some cases at least, can mean rushing into things without adequate planning, and then having to pay the price when things need to be “fixed” or redone later on. One of the things that often gets rushed in this stage (and often needs fixing later) is business licensing. Quite often, a lot of time and effort will be put into researching the business model, investment requirements, consumer demand and all the other necessary factors, but business licensing seems to drop to the bottom of the list, and is often considered as being merely a nuisance and a formality that has to be rushed and gotten out of the way. But whether or not business licensing is seen as important, the simple facts are that, one, it has to be done; two, it has to be done properly and legally, and three, choosing the correct option at the start will save you time and money later on. The last thing you want to do is set up with one licensing authority, and then find out later that it doesn’t serve your company’s needs and won’t allow you to carry out specific activities. For entrepreneurs and small businesses looking to set up in the UAE, location is probably the most important factor. Location isn’t simply about where you would like to set up an office, shop, or factory, but more about licensing jurisdiction. There are a number options available, from onshore, licensed by the DED (Department of Economic Development) in each emirate, to a growing number of offshore free zones, many of which are themed around particular industries or segments. Free zones (offshore licensing) are growing in number, and they can offer a suitable alternative to startups within specific sectors. A startup looking to set up a manufacturing facility and export their products may look at setting up in Jebel Ali Free Zone, although costs can be prohibitive for smaller ventures. Other options include Hamriyah and Ras Al Khaimah free zones. Themed free zones such as Dubai Internet City, Dubai Media City, or Dubai Design District offer a good alternative to startups within those sectors, where they get to become a part of the business community. Image credit: Patryk Kosmider / Shutterstock.com. It is important to note that although the initial setup costs may be lower with a free zone, there are often restrictions and higher transactional costs associated with things like visas and permits that require government approval. Although some free zones have options that allow licensing with a flexi-desk or even freelancer options, it is important to note that there will often be limitations on the business activity and the number of visas that can be issued. Onshore licensing is best suited to all types of commercial enterprises that would benefit from being set up as a limited liability company (LLC). Examples of these include a trading company, a logistics company, or a manufacturing company. Local laws require that a minimum of 51% of the shares in such companies must be held by a UAE national. The company must also take up physical office space, and may be subject to further requirements or approvals from various government departments that regulate specific industries. Onshore professional licenses are available for activities such as consulting and other services, and may be owned 100% by a suitably qualified foreign national, although he or she must appoint a Local Service Agent (LSA). The LSA provides government registration services for a fixed annual fee and has no shareholding or involvement in the business. Such licensing also requires a physical office location, and is ideal for entrepreneurs looking to provide services specifically to the local market including government departments and agencies. The requirement for office space means you should research rents in this location, and find out if they are affordable for you. For example, media entrepreneurs who are just starting out sometimes don’t realise that if their licensing is in DED (onshore licensing via Dubai Economic Department), then they can’t rent an office in Media City. They erroneously think that since their field of work is media, it will automatically allow them to rent an office there, which they cannot do, as Media City is a free zone and you must be licensed to operate in that specific free zone in order to rent office space there. 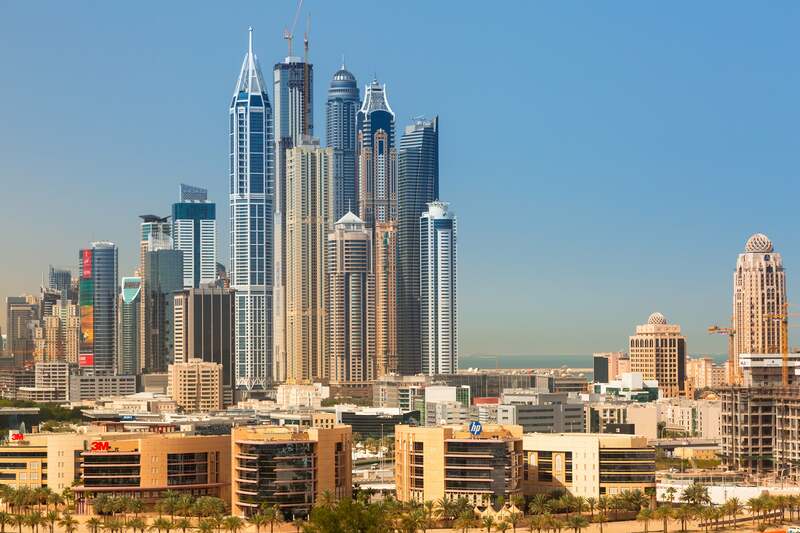 This works the other way round too: if you are licensed in the Media City free zone, then you are required by law to rent an office space in Media City; it is illegal for you to rent your office onshore in Dubai. Make sure that you find out what rents are in Media City before you decide to proceed–the waiting list for smaller, more affordable offices is quite often many months or even years, so you will be forced to rent a larger, more expensive office, even if you don’t need it! It is imperative for the entrepreneur to make sure that their chosen jurisdiction is both cost-effective and future-proof. I have seen a number of entrepreneurs come to me a year or two into their business, only to realize that they were not correctly licensed and hence unable to grow their business. The costs and procedures associated with closing down in one location, and reincorporating in a different location far outweigh what may have been perceived as a more expensive option in the first instance. The entrepreneur should always seek professional advice from a qualified consultant or lawyer. If ringing round free zones and researching DED options, and then looking for a local service agent or a local partner if required seems like far too much work, and you’re in a rush to just get your business up and running, it might be a good idea to get in touch with a consultancy such as Sentinel, which can manage the entire process for you. But regardless of whatever option you go for in the end, make sure you research it thoroughly and make the right choice, so you can then focus all your time and effort in making your new business successful.